Quite often during the programming of a new performance space or production area, the inclusion of acoustic design can mean that the intended space will offer additional flexibility. And while the amount of reverberation and sound isolation within a classroom, assembly hall or black-box theater will determine its target application, there is no denying that even the most basic acoustic design will accommodate other uses. Such designs can also be upgraded incrementally by installing extra sound isolation and/or absorbent panels or drapes to reduce reverb times; alternatively, reflective surfaces can be added to walls and ceilings to provide a more live-sounding ambience. Such an approach is less disruptive to the day-to-day operation of a college or music school, and quite often is less expensive, since you can determine exactly when and how to modify the room’s acoustic behavior. Consider one example: an HVAC or ventilation system that is producing unwanted mechanical or equipment noise can be fitted with a quieter recirculating fan or wider return grills. Such relatively simple fixes can make major acoustical difference to a space, and offer alternate uses, since music will sound better and drama performances more intelligible. And modifying the acoustic performance of a found space often requires sequential stages. Step 1 might involve examining the sound isolation and adding heavy-duty, insulated door and possibly extra acoustic storm windows to help reduce the effects of external noise. Step 2 might involve the addition of surfacing materials to deaden or liven-up the room’s acoustic signature; we might also suggest removing the carpeting from the aisles and beneath the seats to make the acoustic more responsive. Of the several hundred design projects with which we have been involved, the Berkeley Art Museum and Pacific Film Archive presented a unique opportunity for us to specify basic acoustic design in a number of found spaces that we thought the owners would use at a later time. This University of California project involved an Art Deco-style building that formerly was used to house a printing plant. 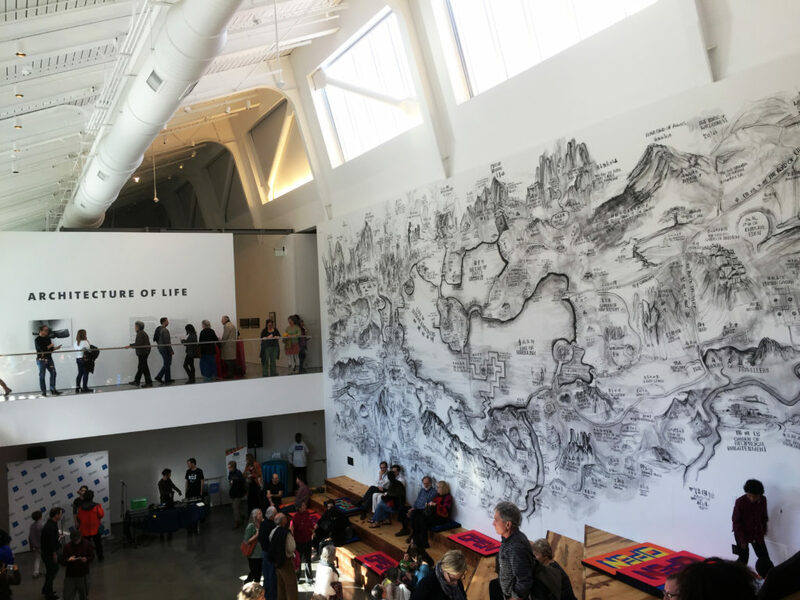 The 83,000 SF building includes an art museum, film archives and theaters, together with a café and several large gathering spaces that now double as study, work and event spaces. Our acoustic treatments were designed to be highly effective yet unobtrusive. For maximum sound control, we specified a perforated drywall material placed high on the walls and ceilings. 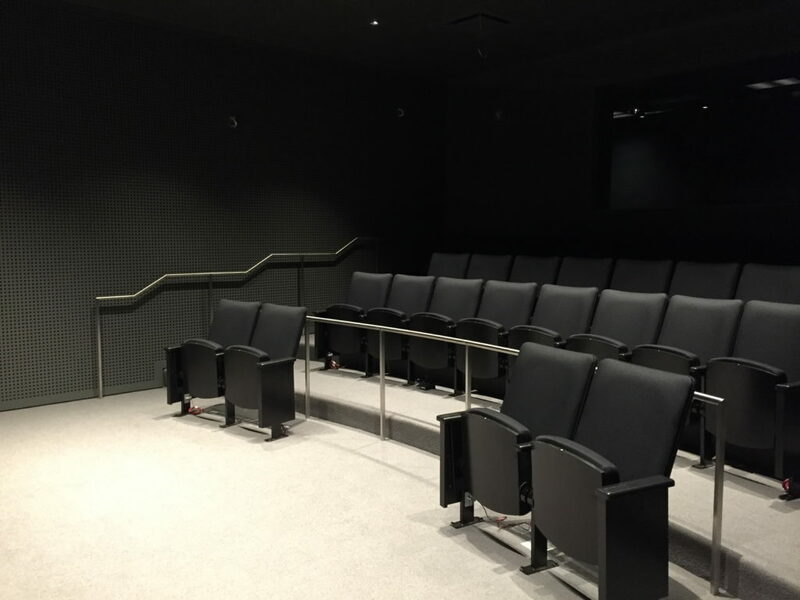 We also designed a triple-layer sound and vibration isolation system for a large screening room to ensure that all exterior noise was blocked, while a smaller screening room utilizes the same box-in-box isolation, perforated materials and acoustics to match those in the larger space. Finally, to ensure that ancillary spaces and theaters could be used for presentations and recitals without distracting AC noise, we selected effective outdoor mechanical HVAC units that proved far less expensive than conventional configurations. 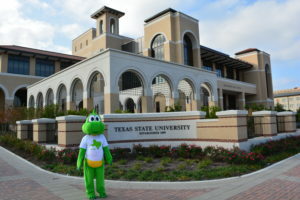 The same incremental planning process was utilized during our designs for a new performance building at Texas State University in San Marcos, where we left sufficient space for a future concert hall. By ensuring that the initial elements of the multi-stage project included adequate acoustic treatment and sound isolation, we will be able to return at a later date and add these extra facilities without compromising their current use.